If you're planning a new home … or renovating your cherished older home, forget about making cookie-cutter decisions. Break free and consider all the options you have to personalize your home with Hy-Lite products. The first thing you may think of regarding Hy-Lite windows is to place one in your master bathroom. Smart. That's the key area of your home where you want to protect your privacy. However, did you consider using the same window design in your master bedroom to carry through the decorative theme? 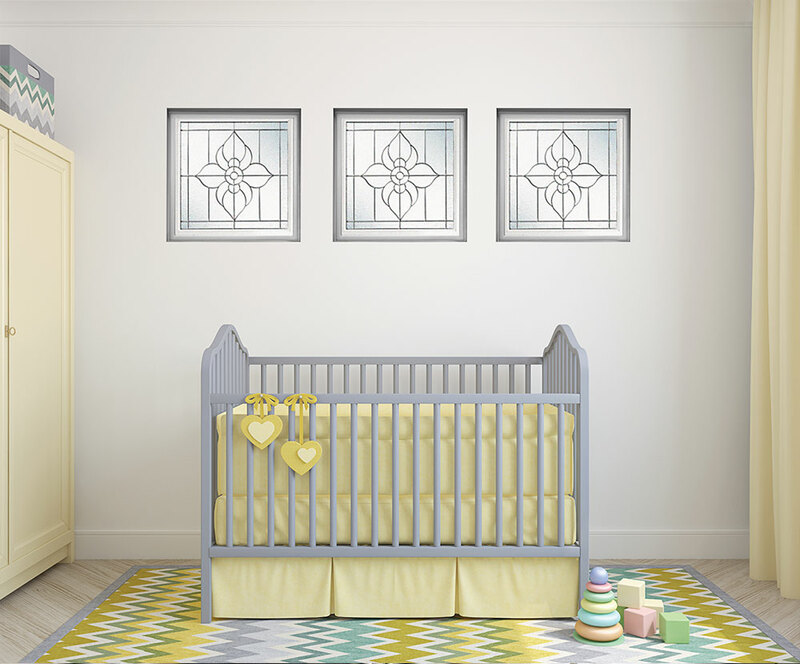 For example, you could have a Spring Flower design window over your garden tub, and then an arrangement of three windows with the same Spring Flower pattern in your bedroom. Stylish! Now, what about your interior and exterior doors? Move away from bland hollow core interior doors for your child's bedroom, kitchen and guest bathroom by using acrylic block door inserts. Sunlight comes into the room, but privacy remains! The home office is another room that requires privacy … and geometric shaped operable or fixed windows. These same windows can be incorporated into hallways and guest bathrooms. Want to keep going? Perhaps you'd like an acrylic block radius wall for your shower, or to enclose a private study nook. Maybe your home could look better with a Baroque-style Home Designer Collection window in the closet. Or, you just might be the right homeowners to have a full acrylic block wall in a living room! Let your mind wander with the design and privacy possibilities from Hy-Lite. We're here to help you build a perfectly stylish, perfectly private home.